Loyal readers of The News Wheel know that I am a bit of a fan when it comes to Manal al-Sharif. She is a prominent Saudi Arabian women’s rights activist who founded the Women2Drive movement. This year, the Middle Eastern country finally lifted its ban on women drivers and allowed them to get driver’s licenses. The move thrust activists like al-Sharif into the spotlight. For her hard work to fight for change, Glamour named her one of its Women of the Year for 2018. The magazine’s December issue is dedicated to this year’s winners, with cover styles featuring the biggest celebrities. 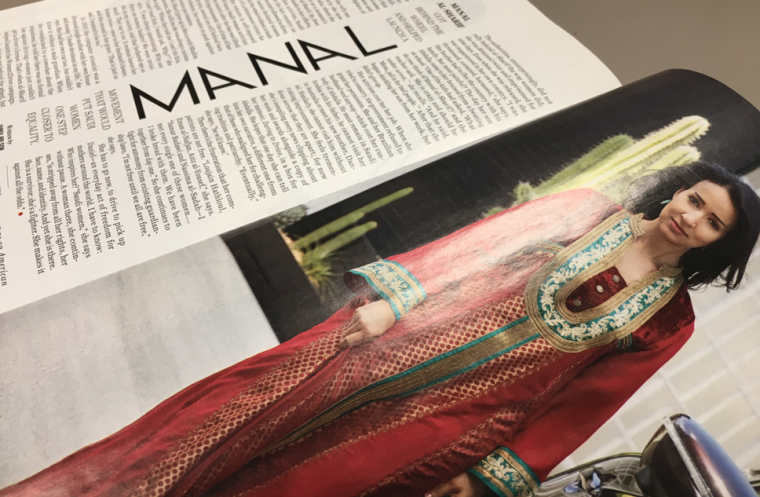 Manal’s name appears on each cover’s list of winners, and on the inside, she gets a two-page spread showcasing her and her story. Jamia Wilson, an American expat living in Saudi Arabia, interviewed her over Facetime for the article. You would think that they would be in the same country, but al-Sharif is currently on self-imposed exile in Australia with her second husband, son, and Nissan car. The government of Saudi Arabia arrested several women’s rights activists before the driver’s license ban was lifted, and since she had already been in jail for driving without a license in 2011 she is staying away for her safety. I look forward to seeing what’s next from Manal al-Sharif.